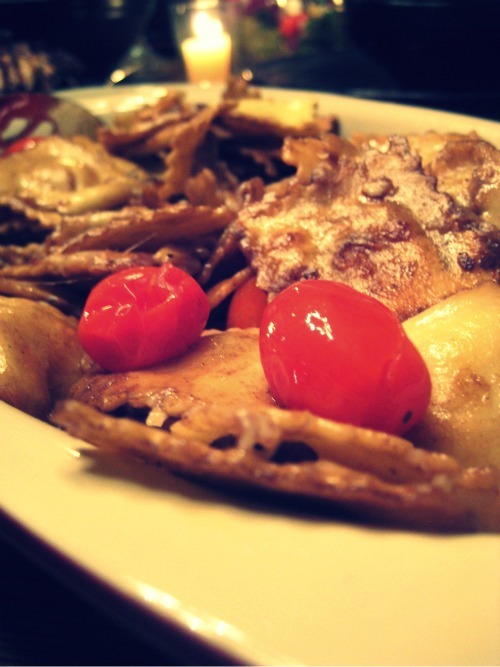 Texas Tales: My Recipes: Rosemary Chicken, Brown Butter Ravioli & More! 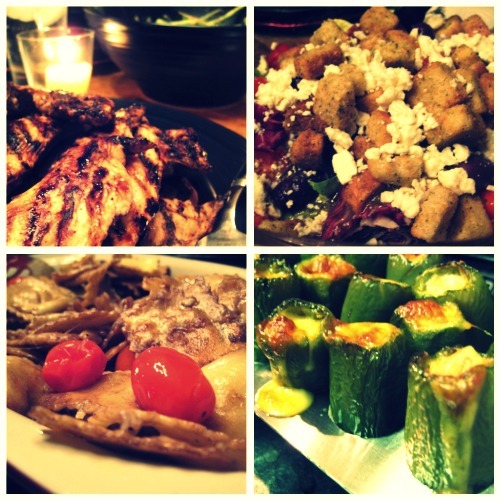 My Recipes: Rosemary Chicken, Brown Butter Ravioli & More! Today, my fellow cookers extraordinaire, you get a bonus bonus! 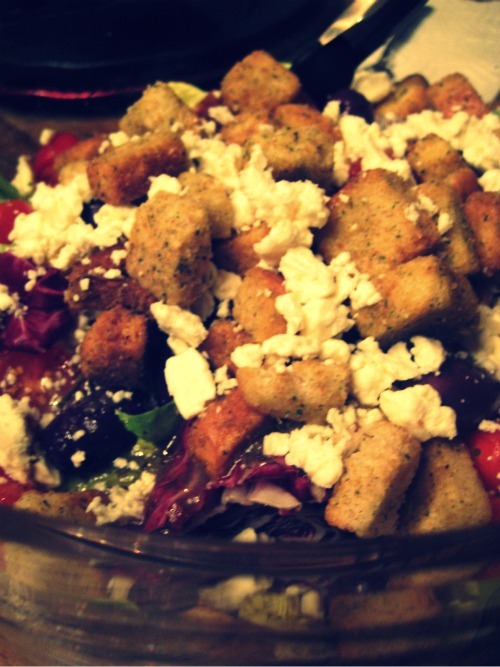 A main course, two delicious side items, a party-worthy appetizer and one mouthwatering salad. The chicken and ravioli were Rachael Ray recipes I adapted to my purposes, and the additional recipes are all my own. Prepare to eat well, because these got the stamp of approval from the whole family! 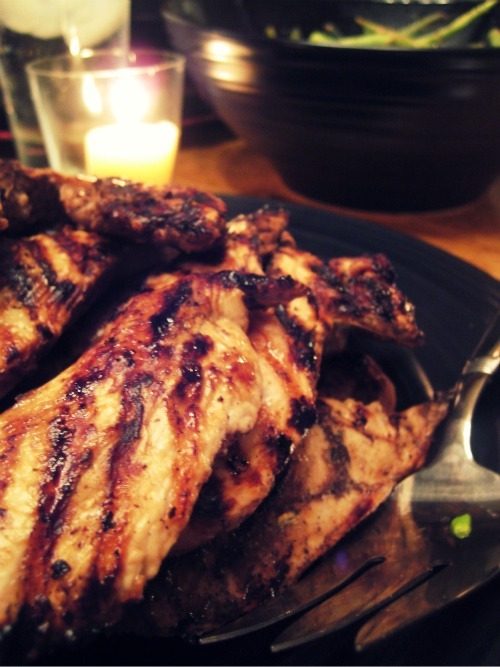 Place chicken in a large ziploc bag, and pour in balsamic vinegar, then olive oil. Season chicken with rosemary, salt and pepper, mix up in bag (I just scrunched it all around through the ziploc) and let stand 10-15 minutes. Remove chicken from the bag and cut each breast in half. For both outdoor grill or indoor stovetop grill pan, heat grill over medium-high heat and coat with a thin layer of organic coconut oil or olive oil (for nonstick purposes). Place chicken pieces onto grill, as many as will comfortably fit, and grill 4-5 minutes on each side. It's time to flip when the white opaqueness of the chicken begins to creep up around the edges. Remove to platter and sprinkle with rosemary. Bring a large pot of salted water to a boil for ravioli. Add in pasta, and cook 8 minutes or until raviolis expand, float to top of water, and are al dente. Heat a large skillet over medium heat then add butter to the pan and let it begin to brown. Once the butter comes to a light boil, it should be browned in the pan. Add in ravioli and tomatoes and stir quickly, coating the pasta. Once coated, pour in balsamic vinegar and olive oil. Cook a minute or two longer to reduce the vinegar and glaze the ravioli. The vinegar will become thick and almost syrup like. Add cheese, salt and pepper to the pasta and remove the pan from the heat. 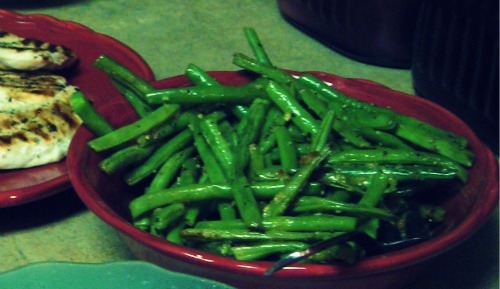 First, steam your green beans in the microwave or on the stove-top until they just start to become tender. (For microwave steaming, divide the beans into two piles and steam 3-4 minutes each.) Melt organic coconut oil in a large saute pan over medium high heat then add all the green beans. Season with the garlic, salt and pepper and stir frequently. Cook 8-10 minutes (continuing to stir and flip often) until some of the beans start to get a nice brown edge to them. Transfer to platter and serve hot. 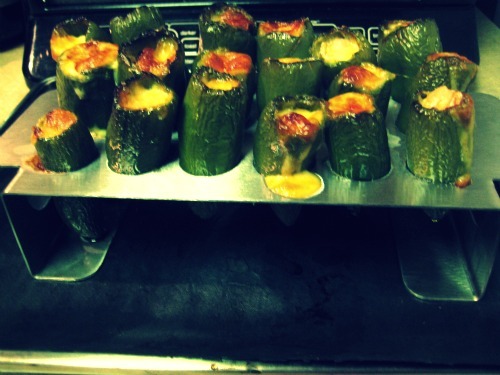 We used a jalapeño corer and pepper roaster to make these, however you can put them on a grill or lay them on a foil-lined baking sheet in the oven. Slice tops off jalapeños and remove all seeds (unless you want any super spicy surprises!). Thaw out shrimp in a colander by running cool water over them until no longer frozen. Slice cheese to fit inside peppers. (I slice my block width-wise, about 1/4 inch wide, then cut those pieces in half and crammed them in the jalapeños.) Squeeze 2-3 shrimp in next to the cheese, then roast at 375 degrees for about 25 minutes. *Note: 20 minutes in, you may want to add more cheese to the top of the peppers to fill them up or melt over. Combine all ingredients in a large bowl and serve. Garnish with pepperoncinis if desired. These recipes and pics look wonderful! I especially like the chicken recipe.....hope to make it soon. Oh my goodness those jalapeno things made my mouth water!!! You are amazing in the kitchen girl! Hi. First time visitor by way of Veronika's Blushing. I bookmarked these!!! Thanks for great instructions and I love the photos, too. these look great! can't wait to make the jalepenos.